Early in my career, I learned the values of good communication, quick response time, and teamwork. As a property manager in Europe, working on renovating and restoring old buildings, I found out how to make just about any job fun and rewarding for all stakeholders. When everyone concerned can envision the goal and understand how to reach it, they become more willing to participate in the work it takes to get there. To this end, I go to great lengths to be that go-to, approachable person that helps my clients achieve their dreams. I am Marianne Leth, a Certified Negotiations Expert with international expertise. I am multilingual, fluent in English, Danish and German, which comes in handy with clients coming in from all over the world to go to work for the major technology companies here in the Seattle area. And with my property management background and past experience with renovation I can help clients – both buyers and sellers – see the possibilities in a property that might need a little love or work to get a property optimally primed for listing to maximize the net proceeds of the sale. My heart is in the greater Seattle area, particularly on the Eastside, so I am well positioned here. As a long-time property management specialist, I discovered early on just what client care is all about. I generated many bookings based on quick and reliable communication with customers. My client/owners of properties likewise greatly appreciated my abilities to promote teamwork among the contractors I worked with and promptly complete the on-site renovations and, not least, to ensure high quality finishes. As a Realtor®, I now have developed those same close relationships with local contractors, home inspectors, loan officers and appraisers, and strive to create a pleasant experience for all concerned. Patience and a good sense of humor coupled with market expertise and good communication skills aid me in conflict management, as well as helping clients deal with what can sometimes be a stressful time in their lives. I take this job very personally, and work towards providing exemplary service for my clients. Are pets or farm animals in the picture? 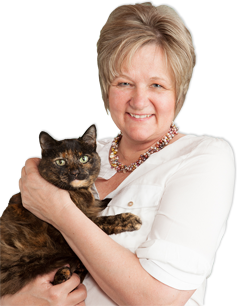 I have great compassion for animals and completely understand when my clients seek to meet the needs of ALL of their family members, human or otherwise. I can help you find the property that won’t leave any of your loved ones out in the cold. Getting folks new to home-buying on my team means educating them on what can appear to be a mysterious, complex set of procedures. Giving them step-by-step information allows them to take ownership of the process and gain confidence in their ability to reach their goal. Teaching them about the market and the real estate landscape – for example, in a First-Time Homebuyer Workshop – is something I find very fulfilling. Honesty, reliability and expertise are the qualities you need in a competent, caring real estate broker. That perfect property is waiting for you, and I am ready and able to find it for you. I am passionate about my role in making my clients’ dreams come true. Outside of real estate, Marianne loves to spend quality time with her family, traveling, hiking and exploring the beautiful Northwest with their 5 dogs, gardening, and cooking scrumptious vegetarian meals. She and her family also love to bake, brew their own beer, have barbecues in their back yard, care for their egg-laying hens, and gradually renovate their 103 year-old house.